2015 Land Rover LR2 How our users rated the 2015 Land Rover LR2. 2015 Audi SQ5 How our users rated the 2015 Audi SQ5. Based on 249 user rankings. Driven or own this vehicle? Rank this vehicle to share your opinion. 2015 Mercedes-Benz GLK-Class How our users rated the 2015 Mercedes-Benz GLK-Class. Based on 390 user rankings. Driven or own this vehicle? Rank this vehicle to share your opinion. 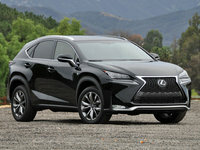 2015 Lexus NX 200t How our users rated the 2015 Lexus NX 200t. Based on 320 user rankings. Driven or own this vehicle? Rank this vehicle to share your opinion. 2015 Audi Q5 Hybrid How our users rated the 2015 Audi Q5 Hybrid. Based on 258 user rankings. Driven or own this vehicle? Rank this vehicle to share your opinion. 2015 Land Rover Range Rover Evoque How our users rated the 2015 Land Rover Range Rover Evoque. Based on 351 user rankings. Driven or own this vehicle? Rank this vehicle to share your opinion. 2015 Porsche Macan How our users rated the 2015 Porsche Macan. Based on 386 user rankings. Driven or own this vehicle? Rank this vehicle to share your opinion. 2015 BMW X4 How our users rated the 2015 BMW X4. 2015 Audi Q5 How our users rated the 2015 Audi Q5. 2015 INFINITI QX50 How our users rated the 2015 INFINITI QX50. Based on 348 user rankings. Driven or own this vehicle? Rank this vehicle to share your opinion. 2015 Land Rover Discovery Sport How our users rated the 2015 Land Rover Discovery Sport. Based on 412 user rankings. Driven or own this vehicle? Rank this vehicle to share your opinion. 2015 Acura RDX How our users rated the 2015 Acura RDX. Based on 303 user rankings. Driven or own this vehicle? Rank this vehicle to share your opinion. 2015 BMW X3 How our users rated the 2015 BMW X3. Based on 305 user rankings. Driven or own this vehicle? Rank this vehicle to share your opinion. 2015 BMW X1 How our users rated the 2015 BMW X1. Based on 363 user rankings. Driven or own this vehicle? Rank this vehicle to share your opinion. 2015 Mercedes-Benz GLA-Class How our users rated the 2015 Mercedes-Benz GLA-Class. Based on 322 user rankings. Driven or own this vehicle? Rank this vehicle to share your opinion. 2015 Volvo XC60 How our users rated the 2015 Volvo XC60. Based on 343 user rankings. Driven or own this vehicle? Rank this vehicle to share your opinion. 2015 Audi Q3 How our users rated the 2015 Audi Q3. Based on 330 user rankings. Driven or own this vehicle? Rank this vehicle to share your opinion.